Our Facebook Messenger integration allows your users to send you Facebook messages through your Facebook Page. 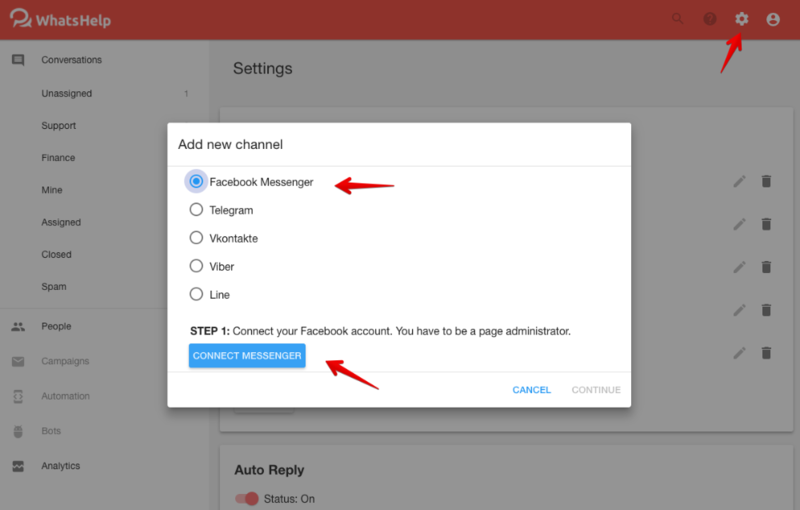 To use the Facebook Messenger integration, you need a Facebook account with permissions to manage a published Facebook page. Also, make sure that a messaging option is available for your Facebook page. Visit the Setting page and press on "Add New" button in Channels section. Choose the Facebook Messenger and press on “Connect Messenger”. This will redirect you to Facebook where you will need to allow WhatsHelp to access your account information. Once your Facebook account is connected to WhatsHelp, select the Facebook page you want to use and hit Continue. 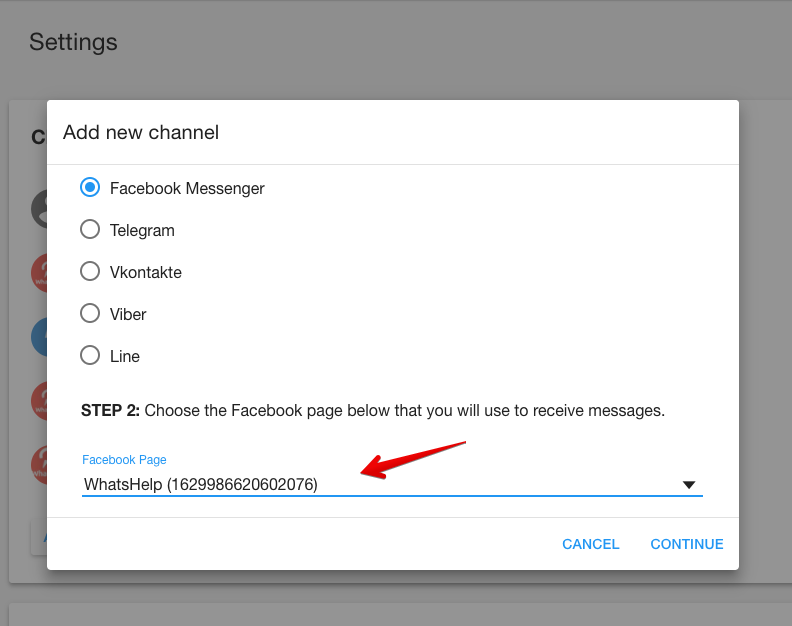 You should now be able to receive messages from your Facebook page and reply via your WhatsHelp account.